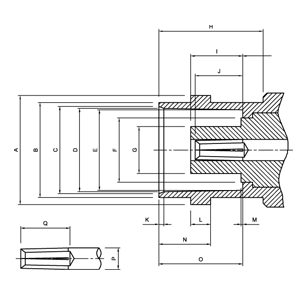 SMA connectors feature screw-type coupling. Semi-Rigid cabling extends their frequency range to 18GHz. SMA connectors offer broadband performance with low reflections and constant 50 ohm impedance. 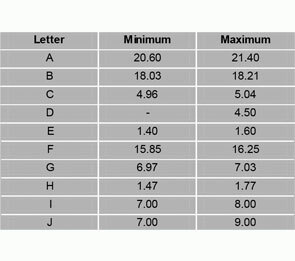 These properties, along with their minimum attenuation and low VSWR, have made the SMA connector extremely popular in the microwave community. 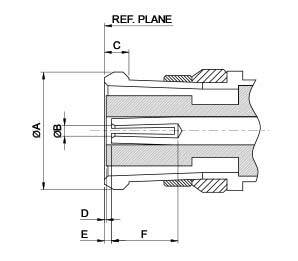 LTI’s SMA connectors are designed to conform to MIL-C-39012 specifications. The SMP has a subminiature interface suitable for miniaturized high frequency coaxial modules up to 40Ghz. SMPs can be used as PC board to board interconnects by connecting a Plug SMP to each of the PC boards using a Jack-to-Jack adapter. BNC connectors are the most popular coaxial connector. Their bayonet design allows for easy mating and unmating. BNC 50 ohm connectors provide repeatable electronic performance from DC to 4 GHz. BNC 75 ohm connectors are suitable for applications up to 1 GHz. All 50 and 75 ohm connectors are intermatable. 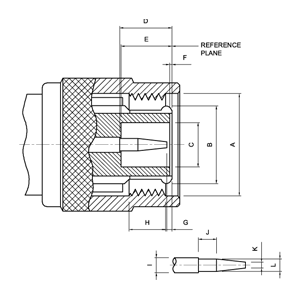 BNC connectors are designed to accomodate a large variety of RG and industry standard cables. They are available in crimp, clamp, and twist on cable styles. A full line of printed circuit board receptacles, bulkhead receptacles, and other accessories complement the product offering. 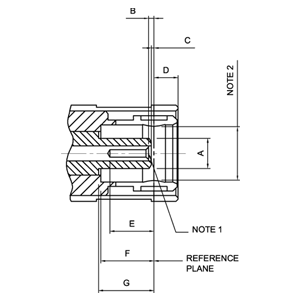 LTI’s BNC connectors are designed to conform to MIL-C-39012 specifications. The BNC series coaxial connector works well in lower microwave frequency applications including monitors, LAN, telecommunication devices, and test equipment. TNC RF connectors are essentially BNC connectors with threaded coupling and improved electrical performance at higher frequencies. TNC 50 ohm connectors provide repeatable electronic performance from DC to 11 GHz. TNC 75 ohm connectors are suitable for applications up to 1 GHz. All 50 and 75 ohm connectors are intermatable. 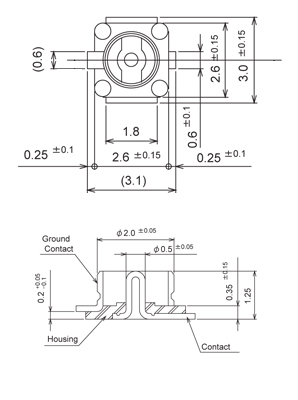 TNC connectors are designed to accommodate cables from .150" to .250” OD. The TNC type connector is a weatherproof unit and with its threaded coupling ensures low noise. It can also withstand shock and vibration. 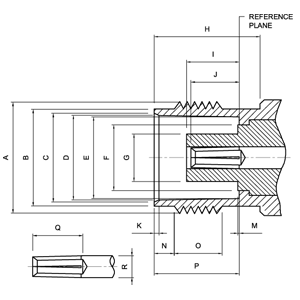 LTI TNC connectors are designed to conform to MIL-C-39012 specifications. Typical TNC series coaxial connector applications include the airframe, missile, radar, cellular mobile phone, and precision electronic equipment industries. N series RF connectors are 50 ohm constant impedance connectors with a consistently low VSWR across their frequency range of DC to 11GHz. 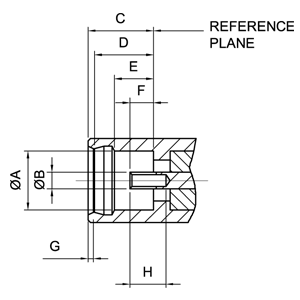 They are high-quality medium sized connectors that are generally used with coaxial cables from .350" to .450" OD, but designs can also accommodate .078" to .875" cables. 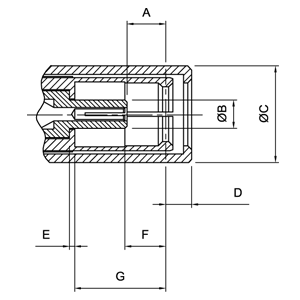 N type connectors are threaded and gasketed for weatherproof operation. 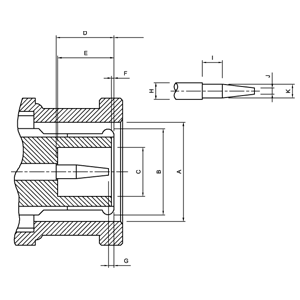 The threaded coupling incurs low noise and withstands shock and vibration. 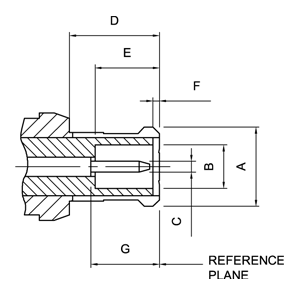 LTI’s N connectors are designed to conform to MIL-C-39012 specifications. Lighthorse Technologies offers a few 75 ohm impedance versions of N connectors. However; they are not mateable with the 50 ohm connectors. The N series connector is the most popular medium sized connector. Common applications utilizing N connectors include test and measurement systems, antennae, base stations, and transmitters. SMB RF connectors are semi-precision subminiature devices that provide repeatable electrical performance from DC to 4 GHz. 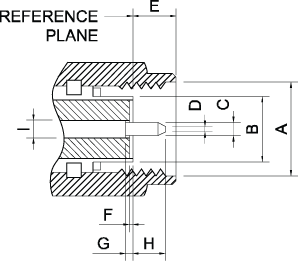 The SMB family of connectors provides a means of quick connect and disconnect through a snap-on type coupling, making them useful in areas that are inaccessible to normal mating action. Its smaller physical size and snap-on coupling make the SMB an ideal general purpose connector where packaging density, ease of mating/unmating, and economy are prerequisites. 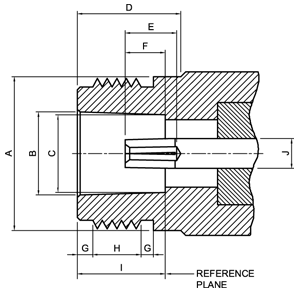 Typical applications for SMB connectors are telecommunications, test equipment, instrumentation, and GPS. They are best suited for use with cables in the range of .070" to .120" in diameter, such as RG 178, RG 174, RG 316. The series is similar in size to the SMC connector but is generally used at a lower frequency. 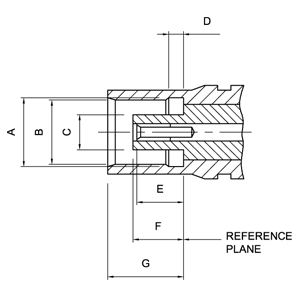 LTI’s SMB type connectors are designed to conform to MIL-C-39012 specifications. SSMB RF connectors are microminiature devices that provide repeatable electrical performance from DC to 3GHz. 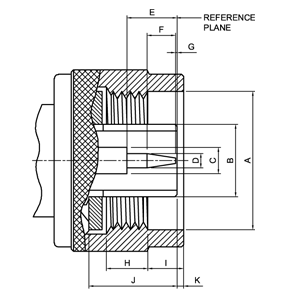 The standard mating design for SSMB series connectors is similar to that of SMB and SMC connectors but with the size reduced by approximately one-third. This makes them ideal for use in confined areas where the use of wrenches is not practical. They are lightweight, easy to connect and disconnect, vibration-proof, and highly reliable. They are best suited for use with cables in the range of .070" to .120" diameters, such as RG-178, RG-174, and RG-316. Because of their small-size and tight tolerance, finishes other than gold plating are not recommended. SSMB type connectors have gained wide acceptance and usage in military radio systems, where small size is needed for miniaturization but ruggedness and reliability are very important. MCX microminature RF connectors are suitable for 50 ohm applications and provide repeatable performance from DC to 6GHz. 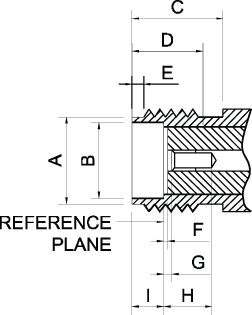 Their snap-on coupling feature allows ease of assembly in dense packaging layouts. 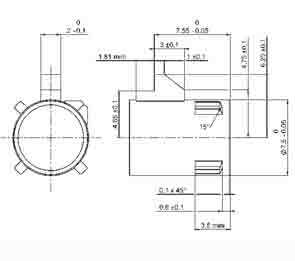 The design of the connector encompasses the need for size reduction, low weight, durability, and reliable performance. 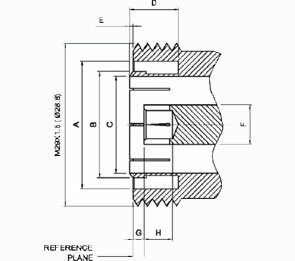 MCX type connectors enable a 30% space reduction over similar SMB/SMC types. 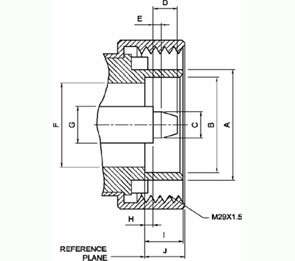 LTI’s MCX connectors are designed to conform to CECC 22220 specifications. MCX connectors are typically used in GPS, wireless communications, and automotive applications. MMCX micro-miniature RF connectors are suitable for 50 ohm applications and provide repeatable electronic performance from DC to 6 GHz. 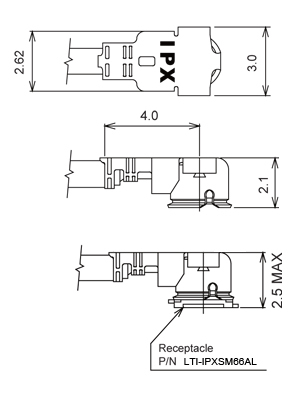 The snap-on mating design offers low RF leakage and ease of assembly in dense packaging layouts. The MMCX series is one of the smallest connectors that Lighthorse Technologies, Inc. currently offers, allowing for usage in space critical applications. MMCX type connectors are lightweight, compact, and reliable. Typical applications for MMCX connectors are PCMCIA cards and other small hand-held communications devices. The FAKRA line was designed in response to new interface standards created by the automotive industry. 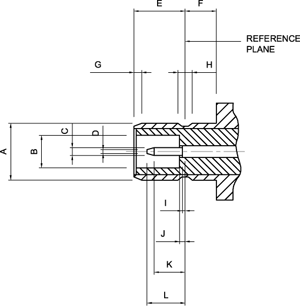 The FAKRA: ISO 20860-1/DIN72594-1 and USCAR: SAE 2, 17, 18 standards designate several essential characteristics of FAKRA/USCAR connectors, including: RF electrical performance identical to an SMB coaxial connector, a plastic housing featuring mechanical and color coding (each color referring to a specific application), and high mechanical performance that meets the requirements of the automotive industry. Both FAKRA and USCAR compliant connectors are based on the coaxial SMB interface and are fully intermateable. 7/16 series RF connectors are 50 ohm constant impedance connectors with repeatable electrical performance from DC to 7.5 GHz. 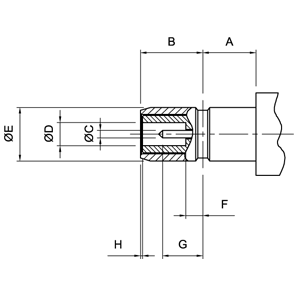 They are medium-size rugged connectors and feature good power-handling capability. 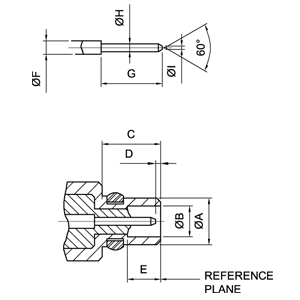 7/16 connectors are designed to minimize signal distortion from intermodulation. 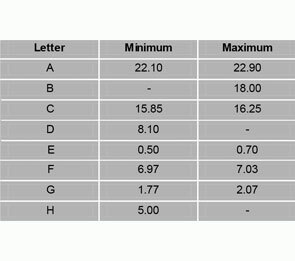 Because of this, the standard plating is silver. 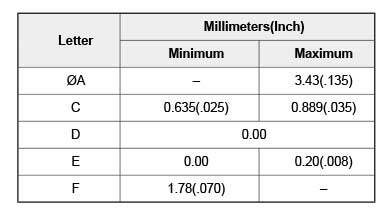 Optional nickel plating should only be specified when low intermodulation is not a concern in your system design. At this time, Lighthorse Technologies only offers panel mount versions of the 7/16 as standard connectors. However, if you require a different mounting style, we will be happy to consider your requirements to provide a working solution.